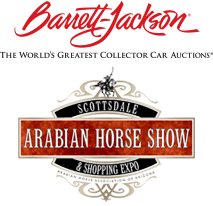 There’s a reason our event is also called “Horses & Horsepower.” That’s because it’s not just about beautiful polo ponies, it’s also one of the best showcases for automobiles until Barrett-Jackson in January. It starts with amazing brands like Bentley and Barrett-Jackson. And extends to the local Lamborghini and Ferrari clubs along with those of Corvettes, Classic Thunderbirds, and more. You can also see the latest models from nearby Earnhardt Hyundai and this year, courtesy of Sanderson Lincoln, the Polo Party will get an automotive first, Arizona’s first look at the Lincoln Black Label Navigator. It will be staged at Sanderson Lincoln’s Black Label Lounge, available for all to see. Check it out here. And check out all of the 200 versions of automotive horsepower November 11th and 12th at WestWorld of Scottsdale.